Last week, I excitedly told you (a bit) about saving the date for something amazing that was happening on December 9th. Today I am so, so thrilled to finally share the full details with you: ticket sales for our Deck Your Closet event are officially live! 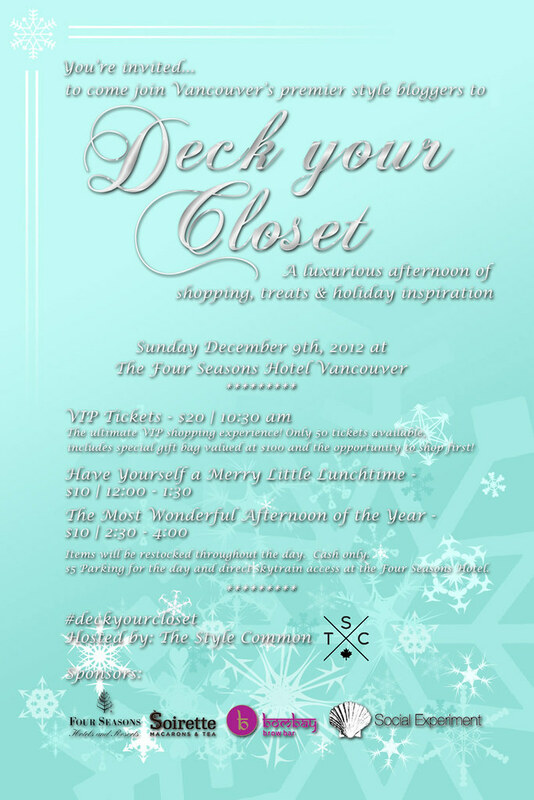 After many sit down meetings and last minute coffee shop chats, we (The Style Common) have created an amazing day of shopping, treats and holiday inspiration at the amazing Four Seasons Hotel in Downtown Vancouver… all for you, of course! In addition to the getting to shop the closets of myself, Alicia, Alex and Jen, you’ll get to meet and shop from the lovely Melissa of Miss Melissa, Carolina of Closet Full of Nothing and Monika of The Doctor’s Closet too! We’re doing something a little different for this event in that we’ll be offering 50 VIP tickets: for $20, you’ll get a gift bag worth ~$100 (including goodies from Soirette, Social Experiment and LOVECOCO… to name a few!) and you’ll get first choice in shopping our closets between 10:30-11:30 a.m in a more intimate environment. Tickets for our “Have Yourself a Merry Little Lunchtime” and “The Most Wonderful Afternoon of the Year” timeslots are priced at $10. We have lots of perks planned for all shoppers (we don’t want to give too much away so you’ll have to wait to see!) and will be replenishing stock throughout the day. 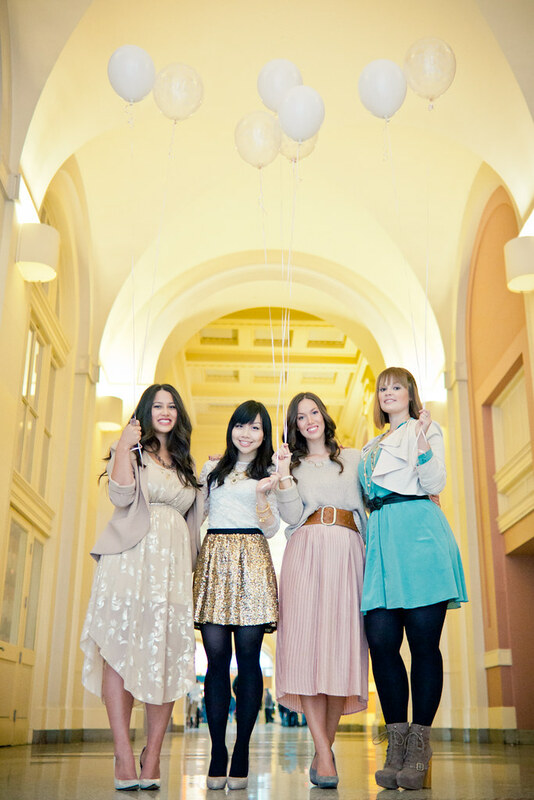 So Vancouver, put on your sparkliest attire and come mingle and shop with us on December 9th. We can’t wait to meet you! Tickets are limited. Buy them HERE before they’re all gone! so fun! i hope you have a great event! Thank you for any other informative website. The place else may I am getting that kind of information written in such a perfect approach? I’ve a challenge that I’m simply now working on, and I’ve been at the glance out for such information. Hey I my friends I tell you something can you give me answer please. I went on a small stag for a buddy, one of the guys has a condo so it was a bit less than what it could have cost, but in the end, Vegas is still cheaper.